How would you like to awaken, energize, and reconnect to YOUR BODY without leaving your home or spending money? Allie - The Journey Junkie has taught hundreds of yoga practitioners (just like you) how to dive deeper into their yoga practice & cultivate positive changes using the chakra system, and she wants to teach you too! Now is the time to commit, create space in your day, and get inspired to learn more about your energetic centers that lie within. Expect to awaken, energize and reconnect your body, mind and soul from the inside out. No longer will we only focus on the physical layer, but instead, the mental, emotional, and spiritual layers of who we are and who we want to become. Get ready, this is your moment to do the work, shine so damn bright, and lay the foundation to wholeheartedly pursue the journey ahead. 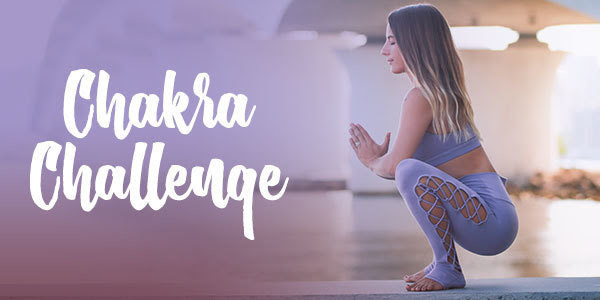 The Chakra Challenge begins almost one week away, on Monday, September 4.